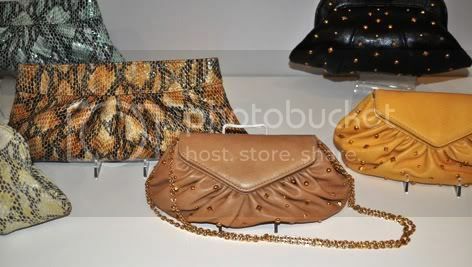 I had the wonderful opportunity to visit the Lauren Merkin Showroom to view the Spring 2010 Handbag Collection. 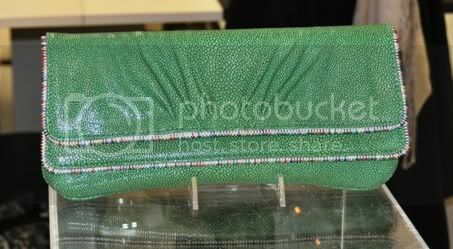 Lauren’s handbag designs come in a variety of lux skins and in beautiful shades perfect for Spring. 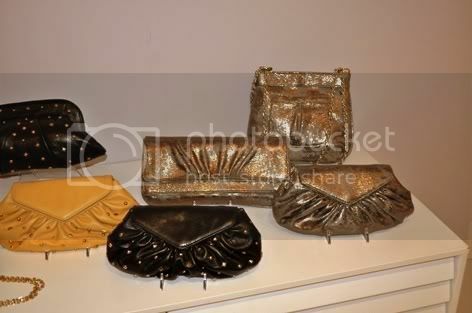 Many of her bags offer functionality as a clutch, handbag & cross body bag, showing us the versatility of her line. 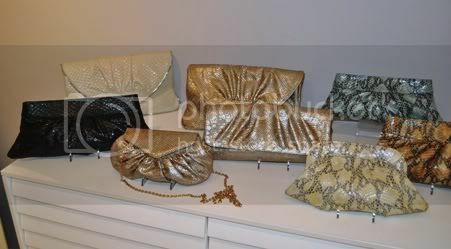 Effortlessly transitioning from day to evening use, the Lauren Merkin Spring 2010 Collection screams City-Chic. A fabulush addition to our Spring wardrobe and date night outfits! 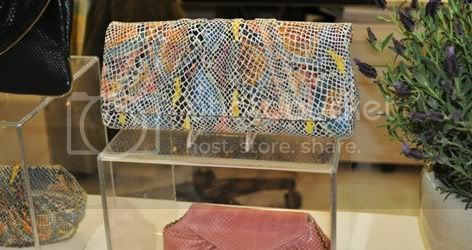 Diana Rainbow Serpent Clutch – Stunning! 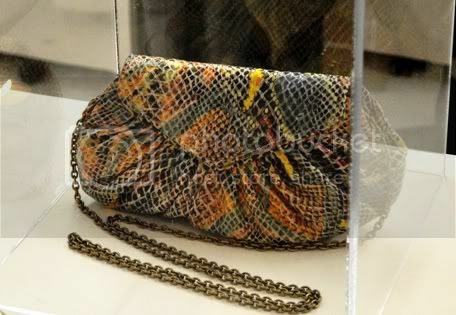 Designer Lauren Merkin was kind enough to share with MG, the inspirations behind her Spring 2010 handbag collection. 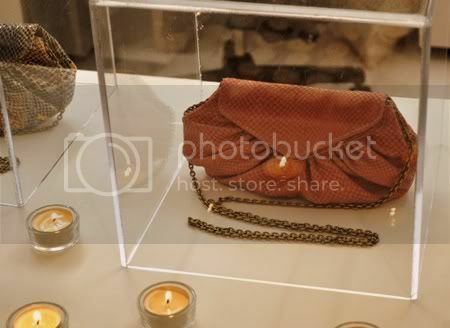 Absolutely adore Lauren’s gorgeous collection!! Dahlings – do you have a favorite? 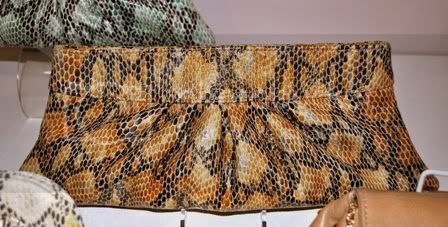 My daughter would stab me in the eye with a fork if I had a snakeskin purse!!! The collection is like a box of candy, they all look great! They are definitely very eye catching! 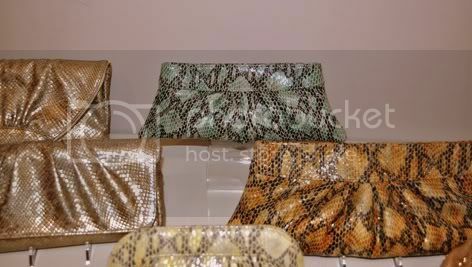 I like the one that has the turquoise look, very snazzy! Love Lauren Merkin and they have some great sales too! 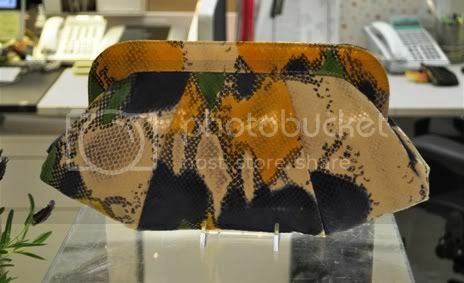 I totally almost bought a LM clutch at Scoop but wussed out. Sigh. Gave you a shout out today gorgeous! How awesome! I love the Allie and Ava. Well I'd taken any of them, really! 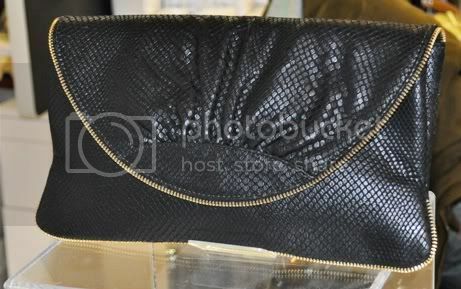 I heart the Ava Envelope Clutch! I love the Ava too!!!!! GORGEOUS! !